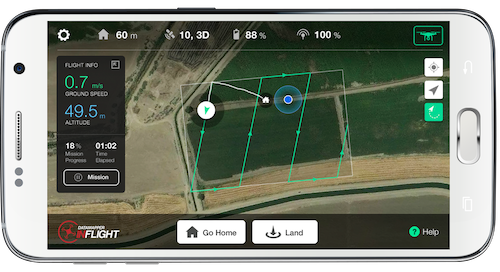 DataMapper, a division of PrecisionHawk, has released DataMapper Inflight, a mobile application that intelligently flies DJI drones to capture aerial imagery for analysis. The app taps into the largest user base for drones by connecting users via their smartphone. Check it out! DataMapper InFlight is the easiest way for businesses and individuals to collect aerial imagery. Available for free on Google Play (and coming soon to the Apple App Store! 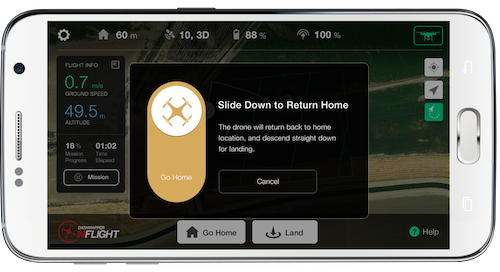 ), the app connects with DJI drones to automatically capture images during an auto-flight. Post-processing, users can apply automated analysis of their 2D/3D maps in the Algorithm Marketplace. DataMapper InFlight is focused on making the user experience as seamless as possible. These steps outline and demonstrate exactly how easy it is to operate. 1. Download the DataMapper InFlight app. 2. Connect the app with an already-purchased DJI drone. 3. Select the area of interest. 4. Fly! 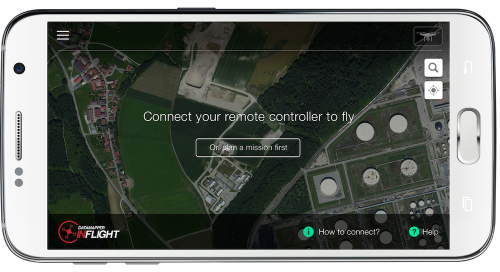 Tap "Start" and watch your drone take off and complete the flight plan automatically. 5. Process and analyze the images in DataMapper's Algorithm Marketplace. Collecting aerial imagery has historically required professionals well trained in GIS or unmanned aerial systems. 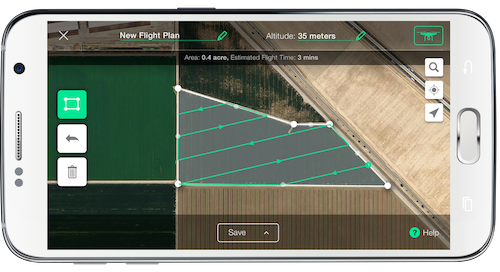 DataMapper InFlight is changing the game by allowing anyone with a DJI drone to seamlessly complete an aerial survey. Post-processing, the map can be analyzed using sophisticated tools in the Algorithm Marketplace. 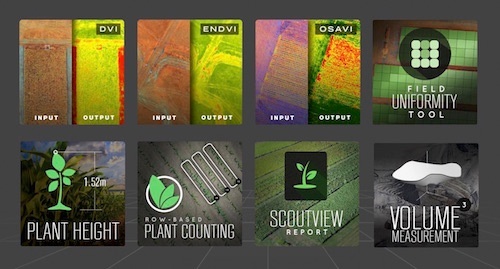 Current apps include volume measurements, NDVI & other vegetative indices, plant count, plant right and much more. Work in agriculture, energy or insurance? This app is a perfect fit to your existing workflow. Download DataMapper InFlight today! For more information, email info@DataMapper.com.